As my test site is going to be a community, we need somewhere to hang out and exchange views and ideas, the ideal place is a forum. 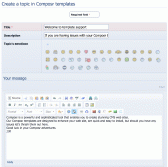 In the “Setup” wizard I opted to create a community and Composr included a forum for me. If I look at the forum, under the General section two forums have been created General chat and Website comment topics each has an edit link alongside. Let's click on the edit link next to General chat, in your editor you will see the forum ready for editing. 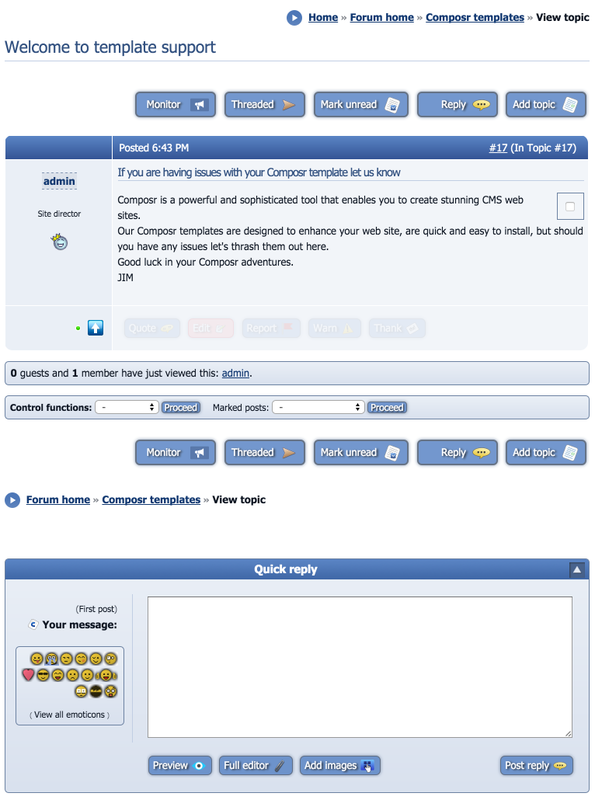 I am going to add a description so users know what the forum is about and the type of posts that are expected. Which when saved will look like this. For now click to save (many of the other options will be covered in the next bit of the tutorial). 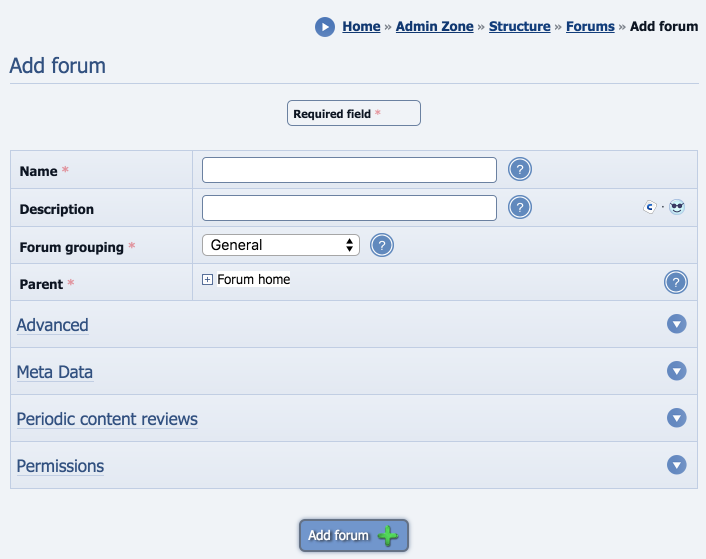 Upon saving our changes you will see the Edit forum screen in your Admin Zone. 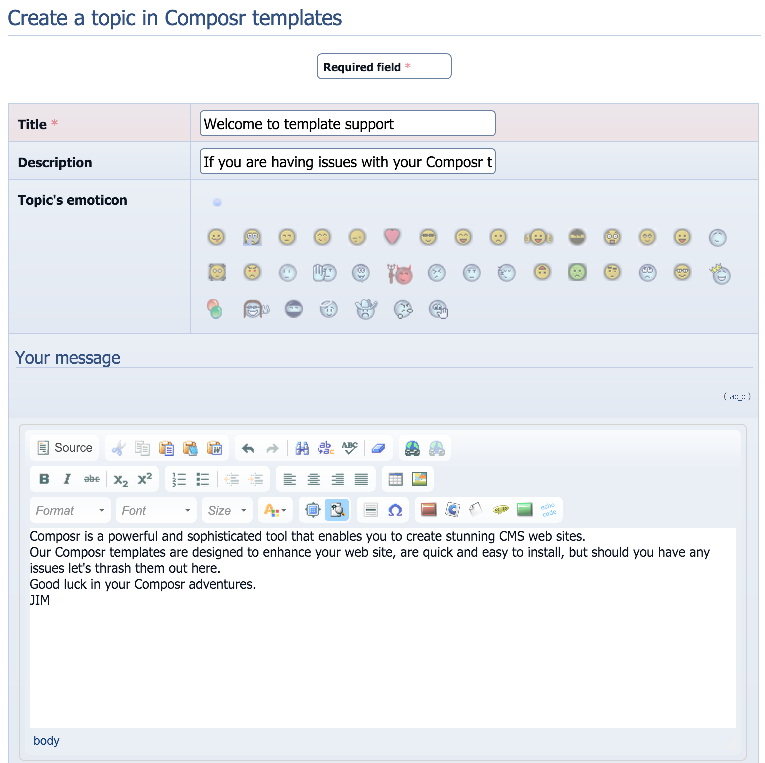 Now I want to add a new forum called Composr templates. 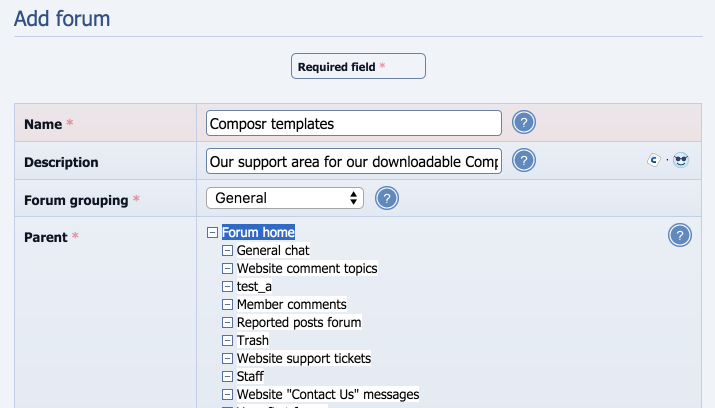 Click Add forum and fill in the form. A short description of what the forum is about like we did before when editing General chat. I will leave it as General, so it sits alongside the other public forums. For now we will skip the Advanced and Permission settings but they will be covered in another tutorial. So now when you view your site, you should see the changes. And when you click on the forum. 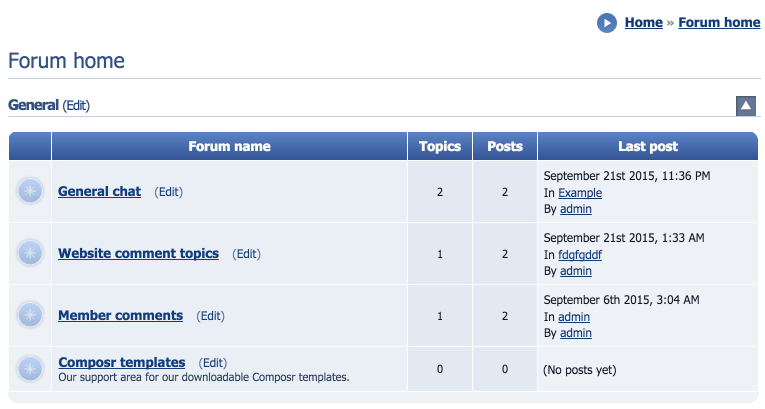 To test I can click on “Add topic” and create a forum post. There is no limit to the amount of forums or sub-forums you can create but before you jump in, do consider your users and the user experience. 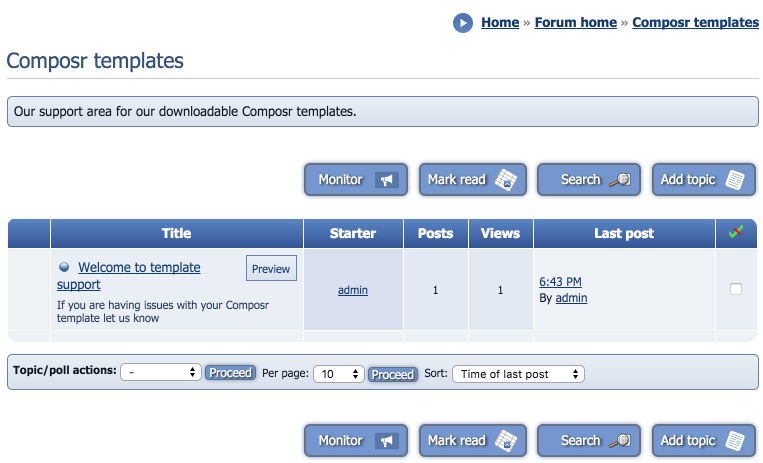 In my next tutorial I will add sub-forums.